Due to its potential applications in various situations such as battlefield, emergency relief, environment monitoring, and so on, wireless sensor networks have recently emerged as a premier research topic. Sensor networks consist of a set of sensor nodes which are spread over a geographical area. These nodes are able to perform processing as well as sensing and are additionally capable of communicating with each other. With coordination among these sensor nodes, the network together will achieve a larger sensing task both in urban environments and in inhospitable terrain. 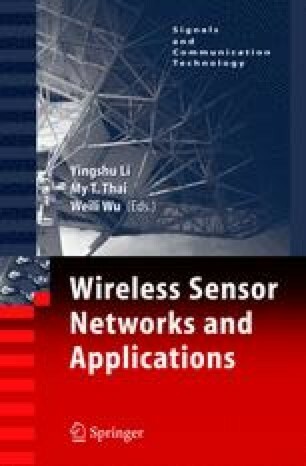 The sheer numbers of these sensors, the limited resources on each sensor, and the expected dynamics in these environments present unique challenges in the design of wireless sensor networks.